Jurassic Park found its origins as a science fiction novel written by Michael Crichton and published in 1990. After the initial film release, kids everywhere could be found in quirky paraphernalia or talking about their trip to the cinema. Today, the Jurassic Park franchise has released endless branded toys, t-shirts, picture and story books, and other collectibles that fans love to buy. Everything from toy models of the dinosaurs to collectors edition replicas of the Barbasol shaving cream cans can be purchased online. Following the blockbuster Jurassic Park trilogy that began in 1993, Jurassic World has just proven to be of the same caliber as the original three films. With the last Jurassic Park film being released in 2001, fans might have thought that the family-friendly franchise had seen its days. 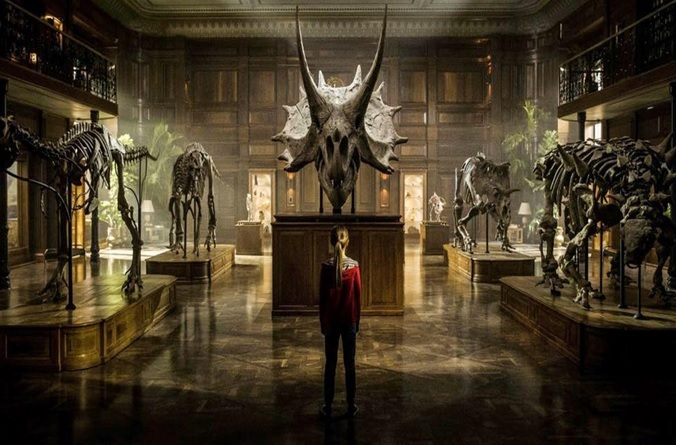 However, after the release of Jurassic World in 2015 and Fallen Kingdom - the second film in the continuing series - released in June 2018, the sci-fi/thriller favorite has returned with success trailing closely on its heels. Thus far, the movie has raked in more than $1 billion globally after less than two months since its release and while still screening at cinemas around the world. Jurassic Park first made its name in 1993 as the hit film directed by Steven Spielberg, packed with robotic dinosaurs and thrilling adventure. Twenty-five years later, the advanced technology, special effects, and cinematography of the 90s are still groundbreaking for those times, and today’s technology is only making it bigger and better. Only three films have reached the billion-dollar mark at the box office this year. As of Monday, July 9, Jurassic World: Fallen Kingdom had earned a domestic total of $333,342,665, a foreign total of $725,300,000, which adds up to an overall total of $1,058,642,665 since its release in June, making it the third highest ranking film in terms of gross returns this year. With the other two movies on the list, Black Panther and Avengers: Infinity War, both produced by Disney, Fallen Kingdom is the only movie thus far to reach this mark that is not produced by Disney. Yet, the franchise is expanding exponentially among children and adults across the world and shows no indication of slowing down. The series of films follow the similar theme of a theme park or entertainment center built around a group of living dinosaurs who, naturally, break free and rampage through the park, destroying everything and everyone in their paths. The combination of science fiction, action, adventure, thriller, and comedy make each of the movies highly entertaining. The first film received an array of esteemed awards for best director, special/visual effects, and writing, and each consecutive film produced more awards behind the media name. The craze over this otherworldly concept of danger and dinosaurs doesn’t end with tangible products. Telltale Games have designed an assortment of video games based on the films that can be explored on PlayStation, Microsoft, Windows, Xbox and iOS operating systems. The games allow the users to navigate through plots similar to that of the films and enjoy a Jurassic experience as one of the many brave characters. Lego has created its own figurines and games for kids (and adults with their guilty pleasures). Online betting has also welcomed the Jurassic Park theme to its own world, which is scattered in slots on online platforms across the internet. Companies like Oddschecker guide interested players to various slot types, and since the release of the first Jurassic World film in 2015, online casinos are exploring this thrilling world of dinosaurs more and more. Online slots have taken on the daring setting of these dinosaurs running wild to heighten the online gambling experience through a simulated adventure. It seems the thrill of this basic concept is something that will continue to appeal to people of all ages and from all walks of life for many decades to come. Over the past 2 - 3 decades, action-packed films like Transformers, Pacific Rim, Godzilla, King Kong, Planet of the Apes and the all-time favorite superhero movies such as Iron Man have become the entertainment love of many. These films all pull together a combination of science fiction or fantasy themes, animals or robots advanced to the level of humans (or beyond), futuristic technology and some downright decent action scenes and special effects. The result, as we can clearly see, is a genre the public cannot resist. Director of the latest film, Colin Trevorrow, expressed during an interview the feeling viewers experience during movies like this as being turned “into an eight-year-old.” Essentially, the excitement and adventure sweep viewers away from real life, responsibilities, and worries, like many good films should. That level of being immersed into another reality not only makes films of this genre so enticing but also reveals why they are as popular as they are. The anticipation that Jurassic World: Fallen Kingdom would do well was by far outdone with its outstanding achievements so far. The creators surely had an inkling that they were resting on top of this gold mine, since they have announced a third Jurassic World film is set to be released in 2021, keeping the three-year gap between movies. While no one has received any hints regarding the next sequel’s details, the franchise and its fans have three years to enjoy the hype and keep sights set on what lies ahead in the world of rampant dinosaurs and non-stop action. Emraan Hashmi joins the cast of "Bard Of Blood"